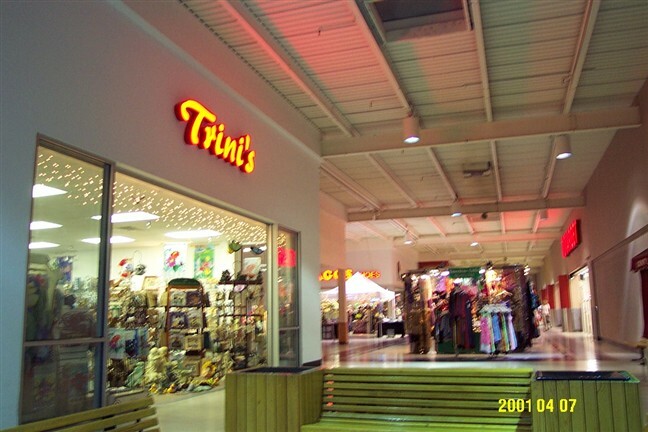 County Line Mall was a small enclosed mall located at US 31 and County Line Road at the southern edge of Indianapolis. It was built in 1976, and was never meant to be anything big. It spent its entire life housing no more than 20-30 smaller stores surrounding a hallway in front of a larger, 100,000 square-foot anchor behind. In 1985, the much larger regional Greenwood Park Mall opened across the street in Greenwood, with space for 5 anchor stores and many national chains. Given that the small number of stores are only supported by one anchor in County Line Mall, that anchor is imperative to the mall’s success. 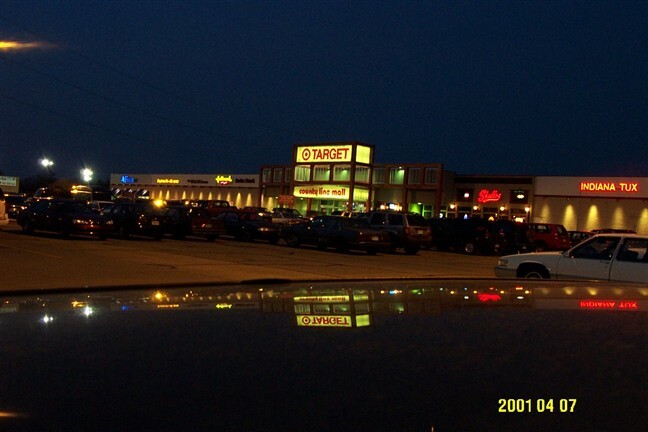 In 1999, when we first visited County Line Mall, that anchor was Target and the mall was indeed successful. 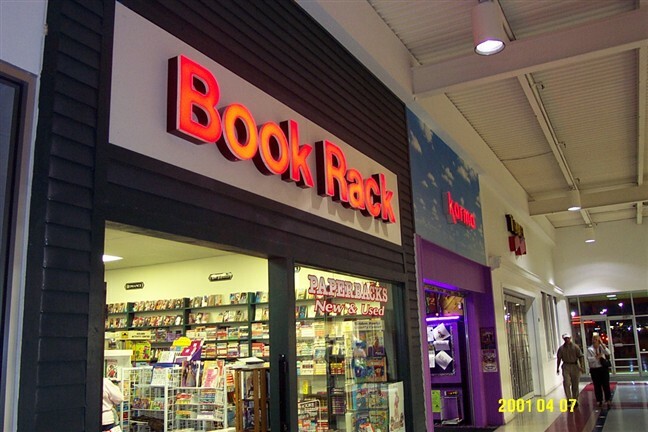 Filled mostly with local stores but some national chains such as Radio Shack and Jo-Ann Fabrics, the mall operated as an ancillary and had carved out a niche for itself in the shadow of Greenwood Park Mall. However, in October of 2001 things changed drastically when the popular Target store decided to abandon their location within the mall for a brand new store nearby. This departure resulted in a thinning parking lot, and by losing the anchor the mall lost its niche. 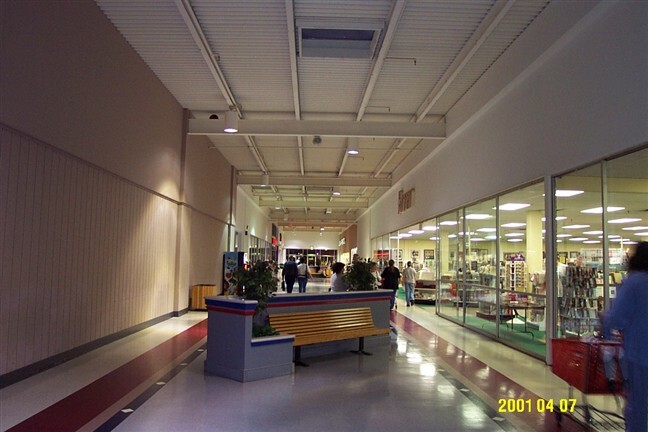 In January of 2003, the mall’s development company announced there would be a drastic makeover of the mall, including the demolition of the interior mallspace and most of the stores. Leases were terminated and the mall’s remaining tenants were given space facing outward into the parking lot. In Spring 2003 work actually began on the mall and by the fall conversion was complete. County Line Mall was renamed The Shoppes at County Line, and the Target space was taken by Old Time Pottery, a chain of home decor stores based in Tennessee. I took these pictures in April 2001, just a few months before Target’s departure. The mall was still heavily trafficed and in relatively good shape. Looked pretty healthy with Target still in. Too bad it went splat, I love the little malls that manage to hold their own. I have fond memories of this mall. It was the only Target store at the time that was anywhere near us. so we frequented it often. Too bad you didn’t get pictures of the other hallway with the popcorn store “Mr. 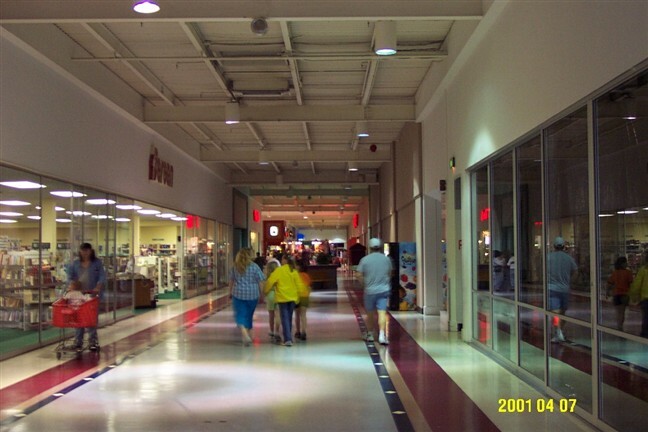 Pop Korny’s” The tenants of this mall remained relatively unchanged. Part of this mall still exists however. The restaraunt “Shallo’s” opens into a corridor directly across from where the Radio Shack was. The corridor leads into “Old Time Pottery”. There is one small store which was the “Karma Records” it has since closed probably due to it’s location. The people who shop “Old Time Pottery” probably never wanted to get the latest album of anyone. I do miss this mall, thanks for the pictures. Target is probably a prime example why big box stores can’t be trusted in malls, because usually they go searching out for a larger store area and when the mall doesn’t fit their requirements well…..bye bye. 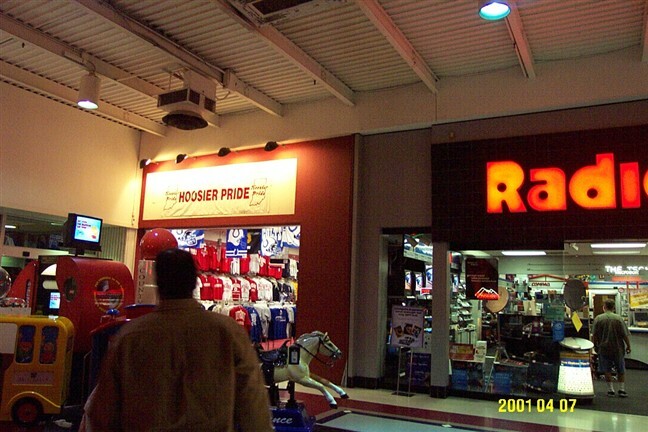 I remember this mall from when I was a kid.I lived in Cleveland,but would spend weeks in Indy visiting family. Wow,this brings back so much memories!! A much belated update, this Target was originally Ayr-Way. 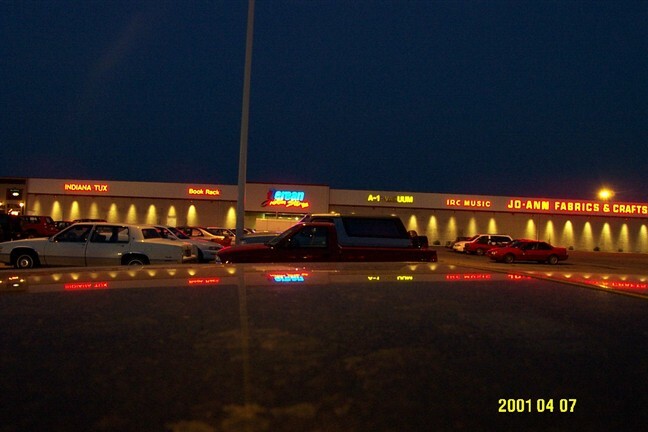 I have some pictures of “The Shoppes at County Line” as it is now. 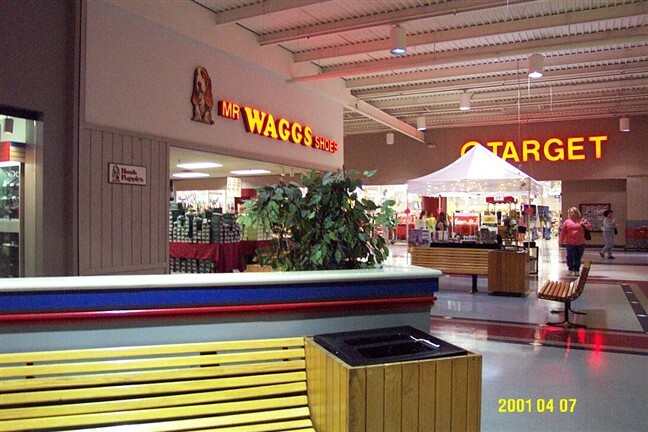 There are two existing parts of the old mall, one hallway with the old stars and red flooring and the one that Shallos opens into. Would love to send them to the right person for posting on this site! http://www.labelscar.com/about-labelscarcom-and-its-authors/ has a link to the authors’ e-mail. You might want to check your research again. The Greenwood Park mall opened in 1966…not 1985. It was open air until it was enclosed in the 1970’s. What’s with the RadioShack logo? Sooooooo Vintage! What few people may not know is that the former Greenwood Center had a ‘big brother’ in Northern Indiana, River Oaks was a larger open air shopping center obviously designed by the same architect. The trademark pyramid fountains that had graced Greenwood Center were mirrored at River Oaks in department store plazas, the frontage to Sears was almost an exact duplicate. I had visited RO in the early 1980s before a renovation project to enclose the facility had begun, the current conditions of River Oaks is unknown to me at this time. i can remember getting cherry icy at one of the stores and going to karma alot there to by cds and i even remember going to ayr-way in that same location back in 1978 and bought s 45 rpm records from ayr-way.i remember i visited radio shack also i have good memories of the greenwood county line mall. I practically lived at this mall during my teenage years. 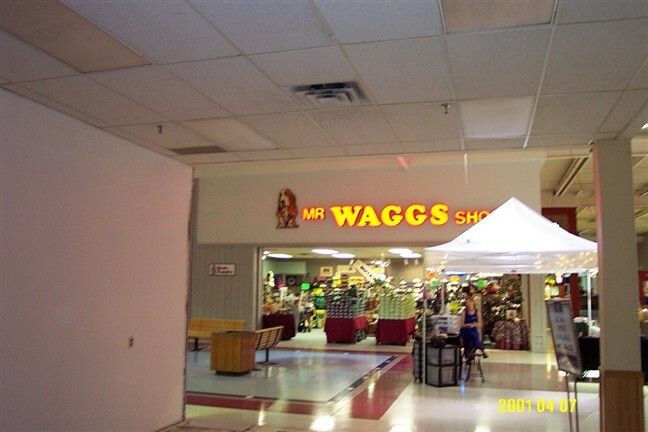 My parents owned the Bresler’s Ice Cream right across from Mr. Waggs. It is sad to see how it looks now. Great pictures. Was by there the other day and peaked in a door that still had part of the original hall, many memories as a kid. The Greenwood Park Mall was actually original from 1966, renovated and reopened as an enclosed mall in 1980.